As I’m in a bit of a terrain mode at the moment, I thought I’d add to my collection of hedges and fences. I picked up a some hanging basket liners from my local Poundshop, you get 2 circular liners for a quid. They’re made from coir and can be cut up into strips. They are very thin so I tease the fibres out to make them a little thicker, spray them brown and then flock them up. Next I made some out of green pan scourers. You can get a pack of six for a quid from Wilkos, but the Poundshop do them as well I think. These are similarly cut into strips, sprayed brown and then flocked up. I also made some gate sections to go with them. Lastly I did some more fencing. 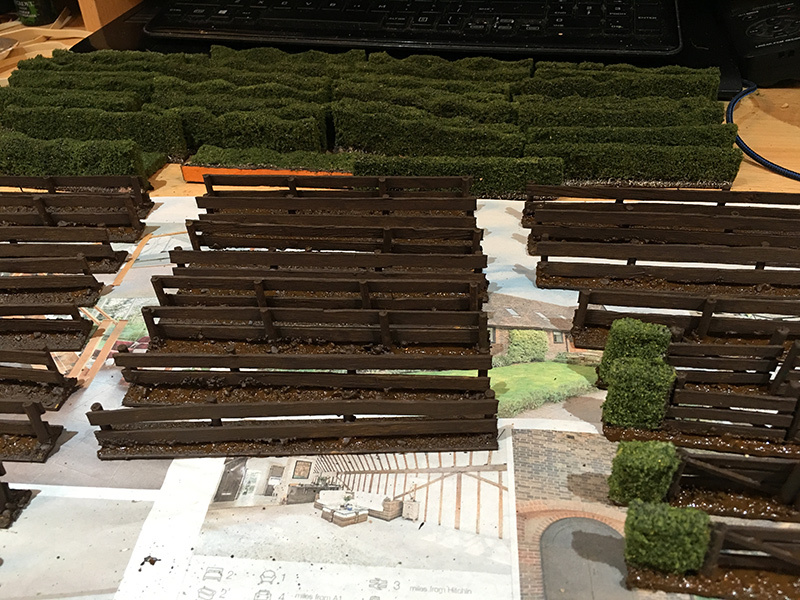 I made quite a bit of similar fences for my Wild West scenery with sand coloured bases, so I wanted some more in keeping with my European stuff with dark brown bases. 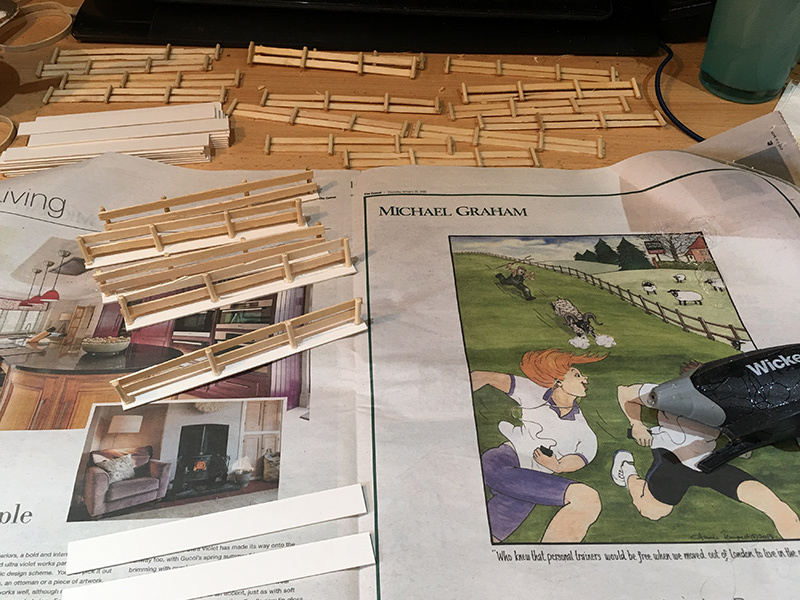 These are made with coffee stirrers, I bought a box of 1,000 for a few quid on Ebay. I used kebab skewers for the uprights and used PVA to construct the fencing and gates. They are glued to card bases with a hot glue gun and then painted up.